Counter-tops are the shell and medium on which almost everything in the kitchen takes place. Treat it as such and find a counter top that matches your personality. With tons of possible color and material combinations, our showroom has so much to see and feel. Come visit us and discover your next counter-top surface! Are you going for functionality or look? Determine the amount of linear feet needed for replacing the counters. This will help give a more accurate cost number when shopping around. Need help? We have your back. Find a good fit for your life. Kids always in the kitchen? Something easy to clean and repair would make the most sense. Go to a showroom and see some surfaces in person. If you’re in the area, stop on by here! Consult or contact a provider and begin the process. Select a surface that fits your needs. Offers a unique and individual look that cannot be easily replicated. Very hard surface that is resistant to scratches and heat both of which are frequent in kitchens. Similar to the resilience of granite but even more resistant to chips and cracks. Because of the properties of Quartz, the surface does not require sealing. Plentiful selection of colors and looks. Simple and clean look that no other counter can offer. Cost effective solution in the natural counter family tree. One of the most readily available types of natural flooring. Durable surface for impact better than most counter options. Easy cleaning and repairing on surface while coming with a much lower price tag than many other counters. Brands and color options are the best available for counters. 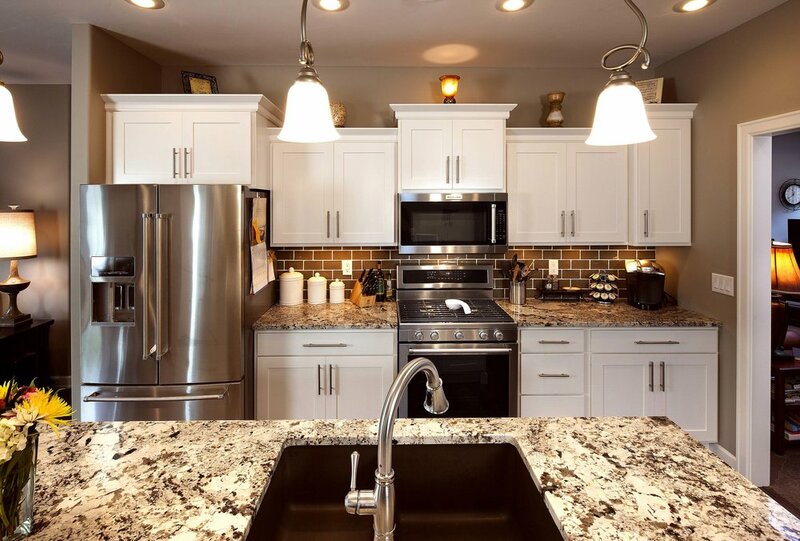 According to the NKBA, the 4 options above accounted for over 40% of all kitchen projects. However, there are still many other options that we have like soapstone, laminate, and many many more. Contact us if you have a question about stock or what we carry. Need somewhere to start on picking your counter-top material? View this video below from HomeBuyers School.